We are rapidly leaving this year and nearing the new year 2016 2017. The first thing that comes to my mind when I see "New Year" is Resolutions and Goals. I try them on and off. 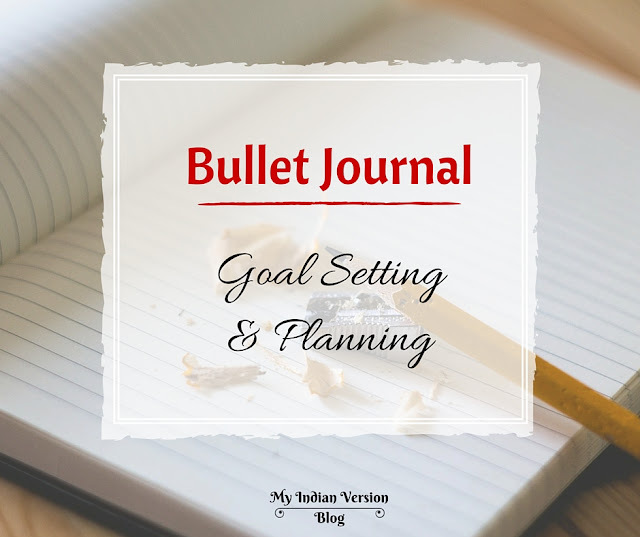 But lately, I have become quite serious about setting goals and achieving them. Some people do this religiously every year. You may have also had a list of resolution for every new year. But what happens next, we unknowingly forget about them as the month of January (or sometimes February) slips. And you don't want to continue it this year too! 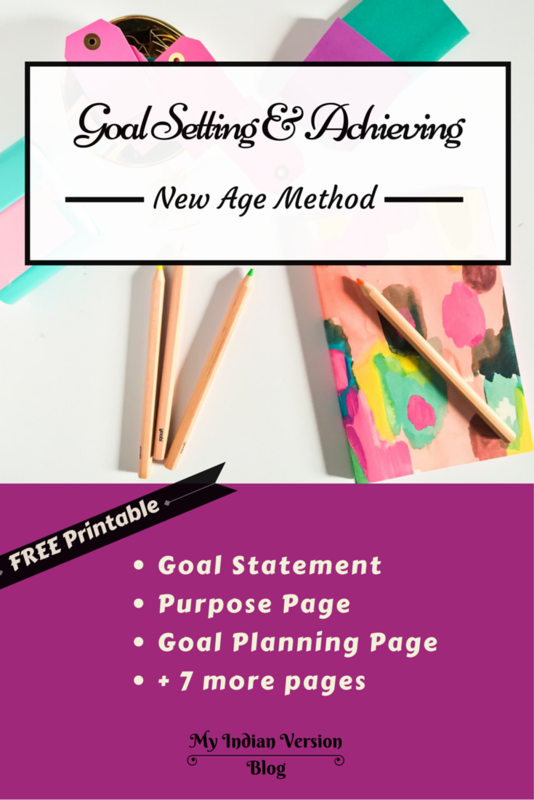 So that's why YOU are here to learn a way to approach the fresh list of resolutions and goals. 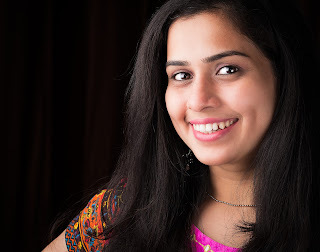 So why these new year resolutions slip out of mind in few weeks? 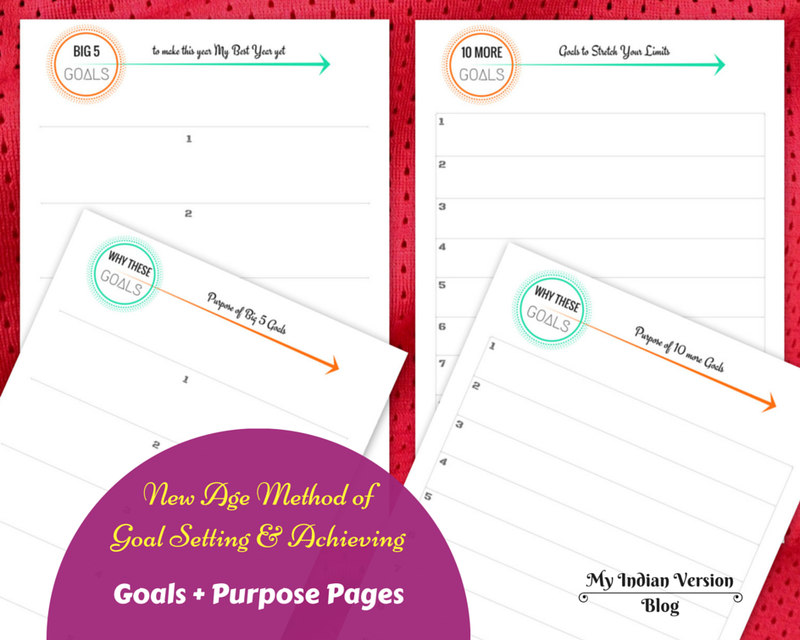 I asked that question to myself and found that I was using the age-old methods of goal settings, skipping that as the time changes so the ways of getting things done should! We all need to TRANSFORM the process of making resolutions and IMPROVE the ways to get them done. I learned few new method from different sources* and finally figured out a way that suits me best. 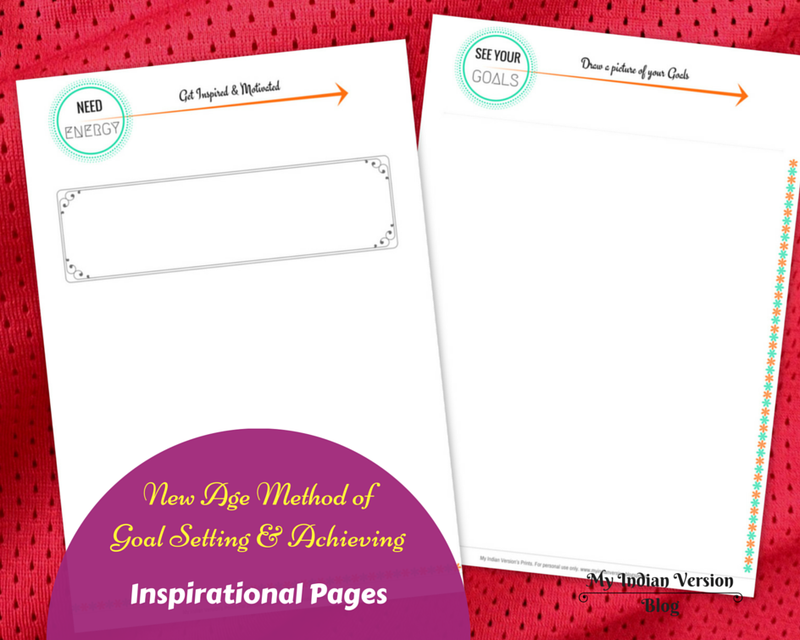 And I'm really confident that this method will also help you too! Because this improvised method is simple and practical, following new modern insights. 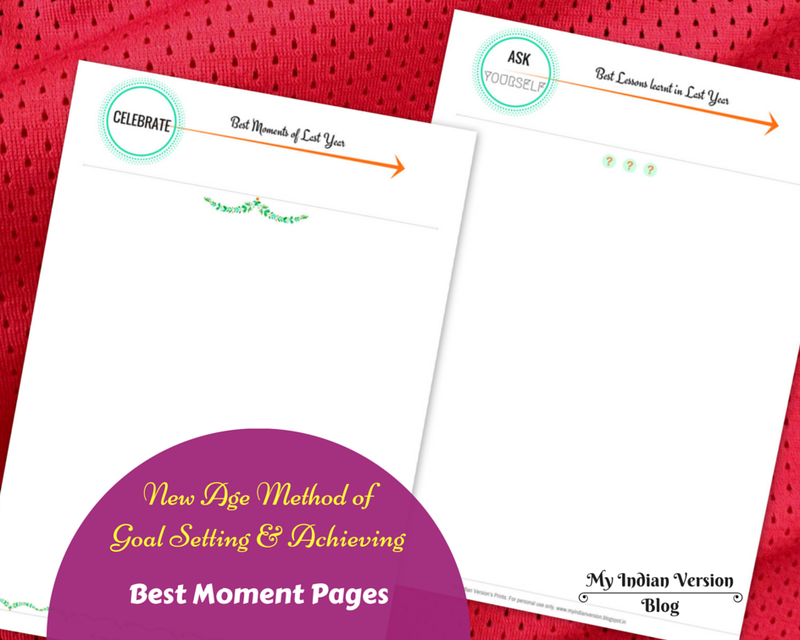 And to get more out this method, I have made complementary planning printable. They are FREE for personal use. So let's go and find How To Make This Year Your Best Year Yet! 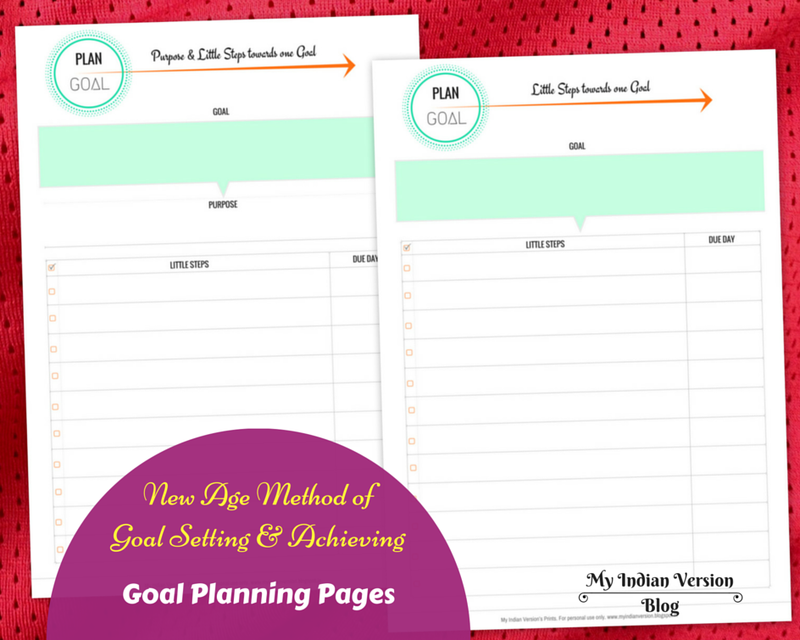 Get your full set of Goal Setting and Achieving FREE printable at the bottom of this post. Write on a paper your achievements, best work, best decisions, best family time, special moments with friends, associates, clients, etc. They can be small or big that does not matter. This will help you notice things you don't notice and appreciate yourself for it. Ask yourself what you learned from past 12 months. Lessons you learned in your personal, professional, financial, spiritual and any other important area of life. Write it down. Now that you know how your last year was move your full focus to the upcoming year. 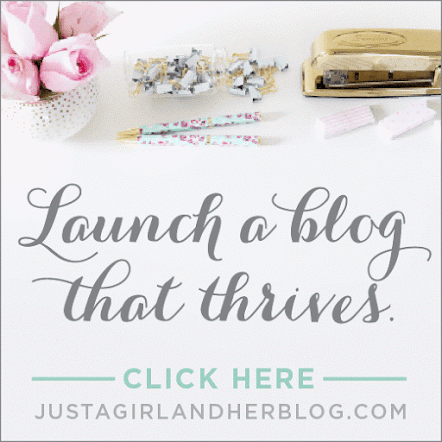 Write the Big 5 resolutions of the new year. These Big 5s should be those that MUST BE DONE this year to make this new year absolutely stunning. They can be long term goals or short term goals or may be big or small. Write it down on a single page and read it every single day. How are these 10 goals different than the Big 5? These 10 goals are that did not find the place in the Big 5 but still are worthy to pursue this year. Stretch yourself to find these 10 goals from key areas of your life. This is the latest addition to my goal setting process. This helps to realize how important the goal is to you and brings clarity to act upon. Now let’s make the plan in detail. Take your every single goal (Big 5 + 10 other goals) and break them down into more detailed and little steps of actions. Then sequence all of them month by month. This eventually will get your main goal done! So these small, little steps become the road map that will take you to your goal. Hence focus on the road in front of you and not on the destination. Once you know what you want in coming year the very next thing to do is EXECUTE IT. EXECUTION is the key to making things happen. Stop procrastinating and giving excuses for whatever reasons, they will keep making you weak. Understand - YOU DO THE WORK YOU GET RESULTS. Once you have all your resolutions made and written, start visualizing it. Visualize how your life looks once you achieve all your new year goals. Now try depicting this visual in a picture. You don't need to be an artist for this. Just keep drawing. Draw your visualization and revisit it every few days. This will not only bring a sense of clarity but also will give you the energy to follow your goals seamlessly. Consistency and Grit are your best friends that will lead you to the best results. Think them as seat belts of your vehicle which will help you stick to your goals in this bumpy ride. Tell your family about your goals or find a friend with similar resolutions. They will support you throughout your journey and keep you motivated and energized through this bumpy ride. 4. Most Important - Enjoy the Journey! Make the process fun. Celebrate your wins, cry out your failures, give yourself rewards or even ask for one from your dear ones! Remember you are doing this to feel happy about yourself so make the whole process full of fun and enjoy it! *Teachings of Robin Sharma are my major source of inspiration. “Insanity Is Doing Same Thing Over And Over Again And Expecting Different Results." So don't make your New Year the repetition or replica of your last year. Make a difference in this year, make it- Your Best Year Yet! Glad you found it informative, Jack. Hope it will help you in fulfilling your new goals. such a solution like this. I can also at this time relish my future. Thank you so much for your expert and effective help. I won't be reluctant to suggest the blog to anyone who desires guidelines about this subject.